We are easy to find! We are just opposite the pier on Hastings Seafront. 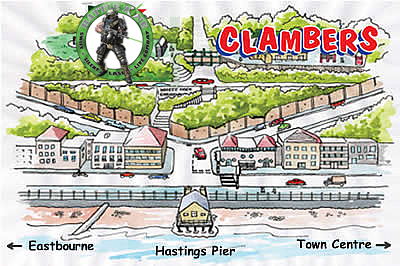 It is well signposted, and Parking is Free for Clambers customers.